Do you wake up each morning and reach for your smartphone to see how many emails you can instantly delete without reading before starting your day? You are not alone. These are just the emails that make it to your inbox, what about the ones that get caught in the dreaded spam folder. 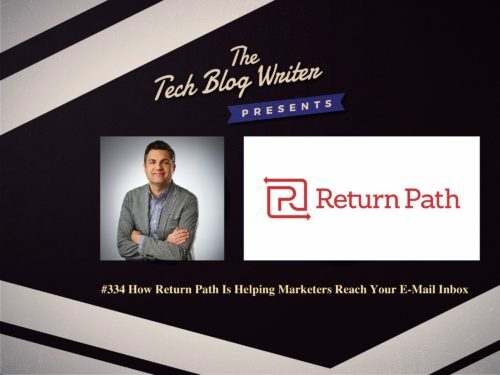 A company called Return Path claims to be the expert in deliverability and is helping businesses get more eyeballs on their emails. Every day, our customers trust our data and insights to help them optimize their email marketing. Partnered with best-in-class email service providers, we help marketers take their email programs to the next level by driving more response and increasing revenue. The path to the inbox is a long winding road, and Return Path has created an infographic to illustrate the steps needed to ensure email marketing programs are as successful as possible, and the pitfalls to avoid if you don’t want to be sent to the spam folder. Anyone that is interested in the path to the inbox can also play a video game on that will test your skills at setting up a successful email marketing program. Once again, the game helps businesses of all sizes understand how they can avoid being banished to the spam folder. Daniel Incandela serves as Chief Marketing Officer at Return Path. As head of marketing, Daniel oversees global brand, content, creative, demand generation, digital, events, marketing automation & operations, product marketing, public relations and sales development. Previously, he served as Senior Director of Brand and Global Digital Marketing at the Salesforce Marketing Cloud, where he drove creative & digital marketing strategy for the company across five continents, overseeing corporate marketing, event branding & experience, and all creative. I invited Incandela onto the show to learn more about how mobile technology has transformed email marketing. We also discuss how emerging technologies and personalization is changing the world of email marketing. Connect with Daniel Incandela on LinkedIn and Twitter or visit his website.